Nestled in the Lehigh Valley on the eastern edge of Pennsylvania, Allentown’s iconic J. Birney Crum Stadium has been one of the longest-used stadiums on the Drum Corps International Tour all the way back into the 1970s. Take a look at this unique overhead view that mesmerizingly shows you why a trip to “DCI East” is a required checkbox on your drum corps bucket list. 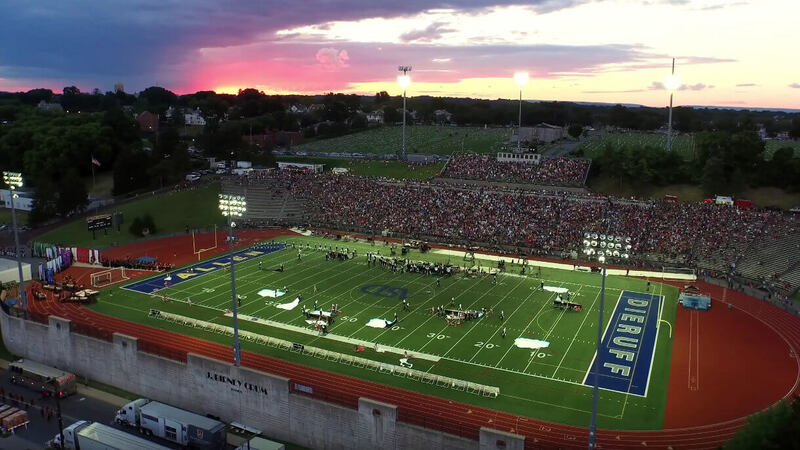 The annual DCI Tour will return to Allentown's J. Birney Crum Stadium this August for two exciting nights of World Class drum corps competition. Learn more about DCI Eastern Classic ticket packages.